The vision and courage needed to take on the crisis of failing schools has surfaced during our presidential campaign – just not in this country. Last week, addressing his party for the first time since re-election in May, UK Prime Minister David Cameron called for an end to the country’s traditional public school system, endorsing instead a nationwide conversion to academies, which are essentially the British equivalent of charter schools — publicly funded, but with greater freedom over what they teach and how they are run. He also urged current and would-be educators across the UK – parents, community groups, social service organizations – to create small new academies known as free schools. 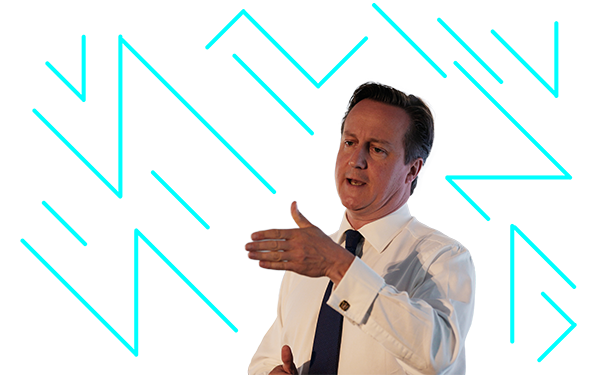 It may be difficult for Americans to appreciate Cameron’s radical, uneuphemistic boldness. He hopes to replace a state bureaucracy that is even more entrenched, more sclerotic, than its American cousin. The second-term Conservative sees defenders of the educational status quo – members of Parliament, teachers unions, and the local authorities that run British schools – as apologists for a class system that has denied opportunity to generations of British children. “Here,” Cameron observed, “the salary you earn is more linked to what your father got paid than in any other major country.” Cameron believes the UK will not continue to thrive unless it draws from a far wider stream of talent and experience than ever before. In a rational world, hosannas might greet a head of state who used his power to reduce inequality. Instead, Cameron’s intensifying efforts over the five years preceding his speech have elicited fierce resistance and criticism. When Parliament passed his 2010 legislation giving any school the option of becoming an academy, the old guard responded as if the bill were “a childhood nightmare,” to quote The Guardian. Using a pseudo-logic that has become current on these shores, critics suggested that by providing students with choice, Cameron introduced “anti-democratic” and “privatising” competition between schools. Subsequent reports of performance gains by academies, and a finding that free schools improved surrounding traditional schools (especially poor ones), did little to lessen the attack. Still, while Britain’s education conversation shares themes and rhetoric with ours, there is no one like David Cameron on the American horizon. To be fair, our next president will not have the power to impose as much change as the prime minister may, particularly in a polarized capital and with Congress negotiating new constraints on federal oversight. However, the candidates pledged to transcend these constraints by vigorously advocating for educational innovation once they’re elected. Well, here’s a nudge: there is no need to wait to advocate until you are elected. And no need to wait until someone asks you. Seriously. Americans are being disserved when the campaigns ignore a school system that leaves three-quarters of students unprepared for college in writing, reading, math and science. The United States soared for most of a century because its schools produced the world’s best labor force, ensuring the dominance of American industry in everything from soap to missiles. In the past few decades, lagging school achievement — especially among our most disadvantaged young people — has led to economic slowdown. By failing to educate these children, we threaten our collective livelihood. Education has not traditionally been a large concern in presidential elections, presumably because the president does not run schools. No one doubts, though, that the president helps to shape national priorities, and few would argue that there’s anything more important to the country’s future than giving every child a chance to succeed. That is both a birthright and a daunting task. As David Cameron realizes, we do not have time for the tweaks and increments favored by institutions built to resist change. Our educational establishment is failing; it is past time for courage, honesty, and action commensurate with the need, particularly here in the United States.